In case you’re not aware, you can attach Chromecast Audio dongles to any older “dumb” Hi-Fi systems around your home and instantly turn them into smart speakers. 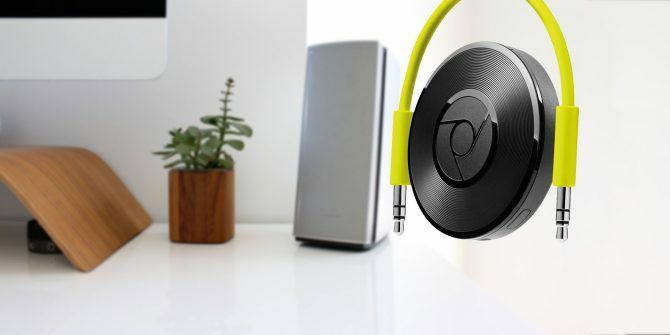 And fortunately, Chromecast Audios are easy to set up How to Set Up and Use Your Google Chromecast Audio How to Set Up and Use Your Google Chromecast Audio If you just got a Chromecast Audio, this is everything you need to know to get it up and running. Read More and don’t place a strain on your wallet. Once you’re up and running, you will be able to play and audio from your mobile device directly through your speakers. You can even stream locally-saved music from your desktop machine. But one of the best features you might overlook is the ability to group speakers into zones. For example, if you have speakers in your lounge and kitchen, you can create one group so there’s no disruption to your listening experience when you go between rooms. Creating groups of speakers on Chromecast Audio is easy. Just follow the step-by-step instructions below. In the upper right-hand corner of the screen, tap on Devices. Find the speaker you want to add to a group and tap on the three vertical dots in the top right-hand corner of the device’s on-screen card. Scroll down and mark the checkboxes next to the other speakers you want to add to the group. Tap on Save to complete the process. That said, when you’re creating groups, there are two things to keep in mind: firstly, all the speakers in your group must be on the same Wi-Fi network, and secondly, a speaker cannot belong to more than one group at a time. Explore more about: Chromecast, Speakers.